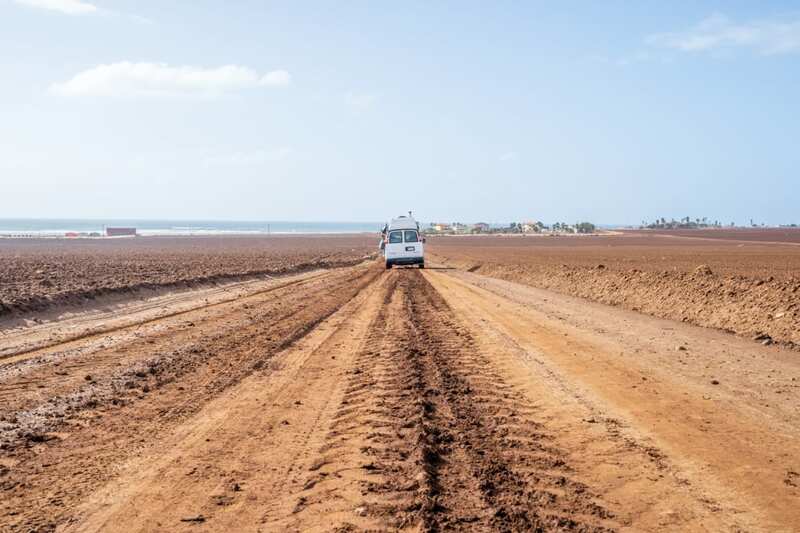 For taco aficionados and surfers, dirt bikers and overlanders, the dazzling coastal deserts of Northern Baja California are always calling. Beyond the crowds of San Diego, the convoluted San Ysidro border crossing, and the sprawling metropolis of Tijuana, empty waves, authentic Mexican cuisine, and open (albeit potholed) roads await. For the road tripper considering a jaunt south of the border, this quick and dirty guide to Northern Baja should point you in the right direction (which is, of course, south). South was always our bearing, at least, as my partner and I just completed a surf-centric road trip from Canada to Mexico. Baja was the last stop, a cherry on top of our adventures, and we relished bouncing from surf spot to surf spot down the rugged yet welcoming, wave-rich coastline. Though we never ventured more than four or five hours south of the border, exploring this zone was an otherworldly highlight of our journey along the Pacific. An hour and a half south of the U.S.-Mexico border, after passing several renowned surf spots like K38, K55, and K58 (named after nearby kilometer markers), you’ll reach Ensenada, a relatively quiet beach town whose roads will come as a relief after maneuvering the hectic streets of Tijuana. The touristy downtown area is peppered with familiar fast food restaurants, but still, this is a solid place to stop on your way south for a night or two to get used to the vibe of Baja, or for a last taco (or three) on your way back to the United States. Where to stay and eat: The Playa Hermosa Bed and Breakfast is an eccentric b&b just across the street from the beach, with plush red carpets and clean, comfy rooms. With secure parking, breakfast included, hot showers on tap, delectable street food within walking distance, and a cushy home theater, Playa Hermosa offers a few creature comforts that desert camping, it turns out, does not. 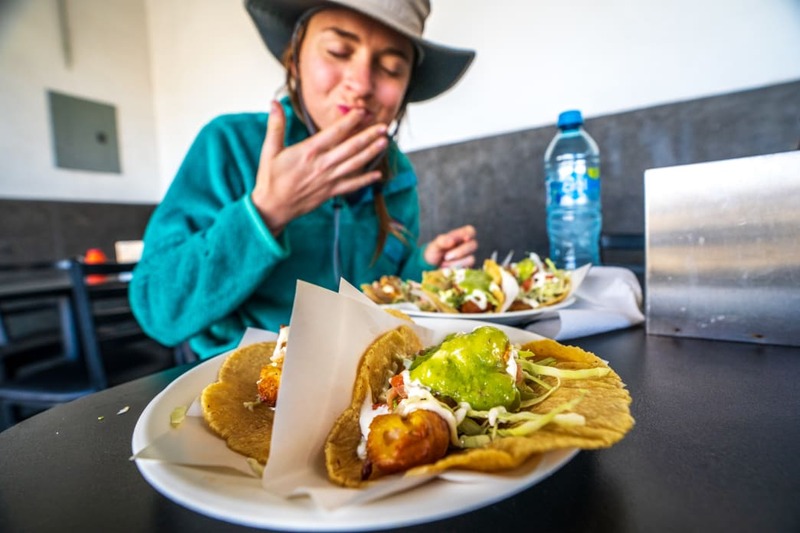 El Trailero is a killer open-air taco joint along the town’s main thoroughfare serving up fried fish tacos topped with cabbage, habanero pickled onions, pico, and lime. After hitting Ensenada and sampling some of the nearby surf, you’ll be ready to venture farther south. As soon as you leave Ensenada, towns get fewer and far between, so make sure to fill up with gas on your way out of town. Driving through Northern Baja, you may be surprised to see rolling hills covered with vineyards and billboards advertising wine tours, wineries, and all manner of wine-related tourism alongside the highway. Indeed, the wine industry has exploded in Northern Baja recently, so if the margaritas and Modelos aren’t whetting your whistle, wine-tasting in Valle de Guadalupe is a great way to spend an afternoon (or even a few days). There are nearly limitless surf spots along the Baja coast, thanks to 775 miles of craggy coastline lined with peninsulas and coves, all getting pounded by the merciless might of the Pacific Ocean. 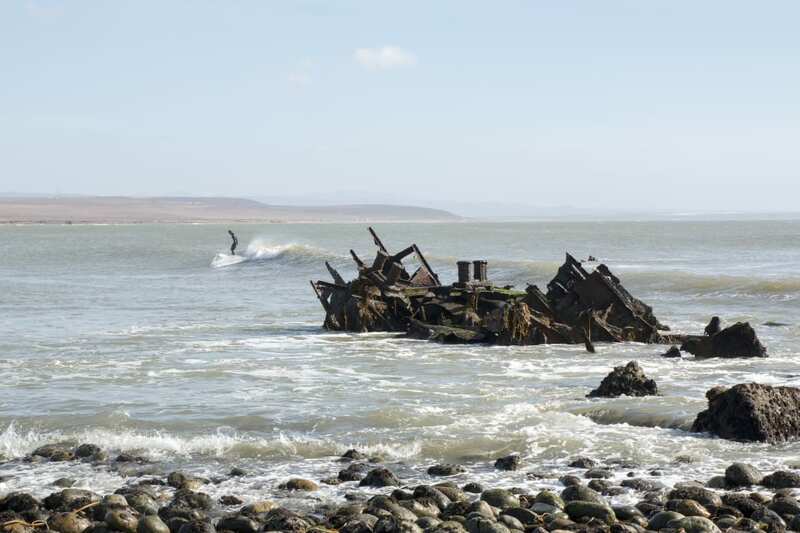 Some surf spots are unknown gems that require an alchemical combo of wind and swell to serve up enjoyable surf, while others are more consistent, famous breaks that regularly pop up in surf movies and magazines. Before you even get to Ensenada, K58 is a thumping, barreling, beach break that’s not to be trifled with. We loved this wave because the Los Alisitos campsite is perched on the bluff right above. Camp, wake up, check the waves, go for a surf, have tacos and a beer at a nearby restaurant—not a bad daily routine. For beginners, Playa Hermosa, Ensenada’s main beach, can offer up beginner-friendly waves over a sand-bottom break. Cuatro Casas, meanwhile, is only two and a half hours south, though it feels like it’s a world away. The mercurial wave is popular with longboarders, and it’s located at the end of a long, rutted out road, where there’s not much else to do here besides surf. So check the forecast before you make the trip (or at the very least bring some good reading material while you wait for the right conditions). A couple hours south of Ensenada is Ejido Eréndira, home to Coyote Cal’s, a bizarre desert outpost much loved among overland and motorbike crowds, partially due to the fact that it’s smack dab along the route of the infamous Baja 1000 race, an off-road dash through the desert. The compound is home to a bar, hostel, private rooms, a massage school, and campsites for RVs. While we dug the location of Coyote Cal’s and had a blast exploring the winding roads, uncrowded waves, and beaches nearby, it’s worth noting that the bar and restaurant are pricey, and you’re better off bringing your own water and beers as well as cooking your own grub in the hostel kitchen. Even farther south is Cuatro Casas, a hostel and campground near Cabo Colonet. The roads here will test even a 4x4 vehicle—don’t bother exploring this coastline unless you have decent clearance. 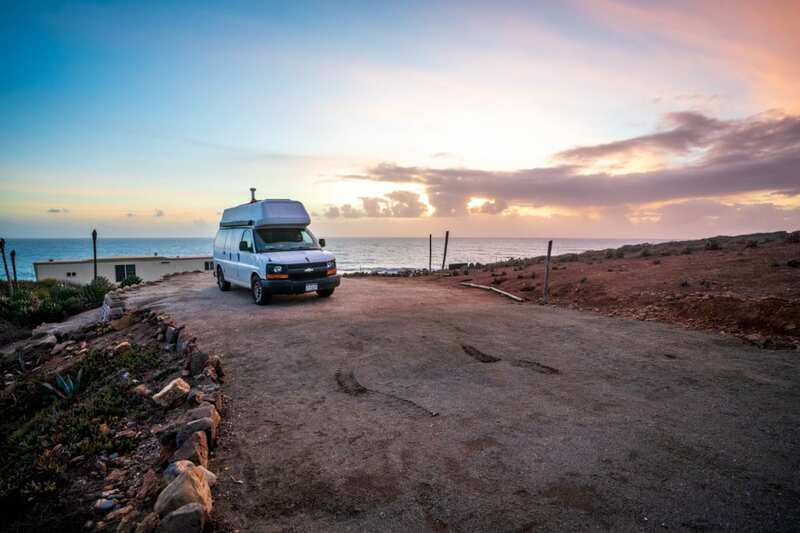 The Cuatro Casas campground is rustic—just a dirt patch on a bluff overlooking the wave—but it’s beyond gorgeous and the sunsets are stunning. It’s $5 per person to camp, and an extra $5 to use the hostel’s bathroom and shower. If you’re feeling cheap, spend the $5, and bring TP and hand sanitizer for the questionable pit toilets. This guide to Northern Baja is admittedly one-sided, as it describes a route along the Pacific down Ruta 1. For surfers, this is the only way to do a Baja road trip. However, for snorkelers, scuba divers, and sea kayakers, Baja’s eastern shores have even more to offer. Ruta 3 connects the two as it winds through wine country, while Ruta 5 follows the east side of the peninsula parallel to Ruta 1. Pick your path, or connect them all for the ultimate Baja road trip. In recent years, Tijuana hasn’t been exactly high on many travelers’ bucket lists, as it continues to struggle with cartel violence and migrant conflicts. Even so, the majority of tourists have no issues crossing the border safely and enjoying an unforgettable road trip through Northern Baja. Through careful planning and common sense, you can minimize your exposure to risk. Here are a few tips to keep in mind when crossing the border by car and traveling through Northern Baja. Cross the border early, in daylight. This makes it easier to deal with any delays at the border and navigate through Tijuana quickly and efficiently. In addition, it’s always recommended to drive during the day in Baja. Get Mexican car insurance—it’s a legal requirement, and it’s not too expensive or difficult to arrange. You’re also going to want an international driver’s license. Use common sense. It’s not a bad idea to avoid excessive drinking or going out to clubs and bars in Tijuana. In fact, many travelers forgo Tijuana entirely and drive south immediately to get out of the city. Travel in a caravan. Having a few cars traveling together can make your group less susceptible to trouble. Keep some cash handy. While we never had to deal with this on our road trip through Northern Baja, I’ve heard stories about people getting pulled over, shaken down by local cops, and getting out of it with a folded paper apology. Camp smart. While it’s easy to find free camping along the beach in Baja, for most of our trip, we opted to camp in designated campgrounds. Unlike their counterparrts in the U.S., these campgrounds are crazy cheap—we’re talking around $4-11 per night—and they offer a bit more security than free camping spots (not to mention the odd outhouse or outdoor shower). Bring bottled water. Play it safe—the last thing you want on any road trip (or any trip, for that matter) is to be sidelined with a case of gastro-intestinal disaster.